All images provided by Free2BMe. Subjects and/or subjects parents in featured images provided consent for the use of these images for this blog post as well as distribution by the Free2BMe team. For the past quarter, Yogalife Studios Edmonton proudly supported the Free2BMe program, donating all proceeds from our Karma classes to this wonderful charity, and pillar in the community working with children with disabilities. As we transition into the next season, looking to select the next quarter's charity, we wanted to wrap up this season with a post highlighting what the Free2BMe program is all about, and how your generous donations have helped this program provide individualized programming to children in need. 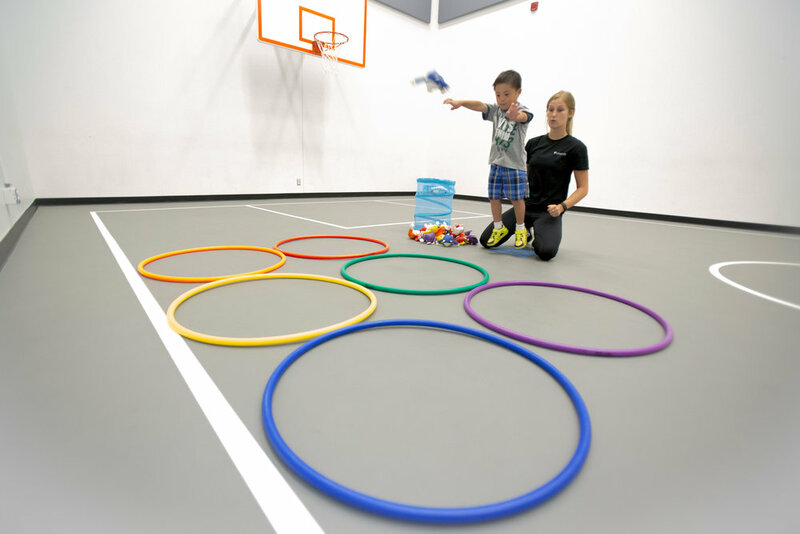 The Free2Bme program is a critical arm of the Steadward Centre that provides exercise programming in the form of 1-on-1 programming, as well as group classes for children living with either cognitive or physical impairments. One of the major tenets of the program is fostering inclusion in this population of children by increasing participation in sports and games in an adapted manner to facilitate both physical competence and increase confidence to take part in social programs. In the community, children with disabilities are often prone to social isolation from their peers, and experience exclusion from group activities at a higher rate than other individuals of the same age. The Free2Bme program hopes to change that, by first changing children's perception of themselves, allowing them to experience inclusion and a feeling of physical competence when participating in various games and activities. This shifts their vision of themselves from one that is focussed on what their limitations are, to one that is focussed solely on what they can accomplish. At Free2Bme the focus is not on disabilities, but on highlighting what your capabilities are. Your donations have helped to provide funding for the various programs that the Free2BMe program runs. This support helps provide the program with the tools it needs to continue its wonderful and important work with children with impairments. As a former student of the program when I was in University, I can attest to the fact that the work that these staff and volunteers do is incredibly important in creating inclusive environments for children, and empowering those kids and their families to see what they're capable of. 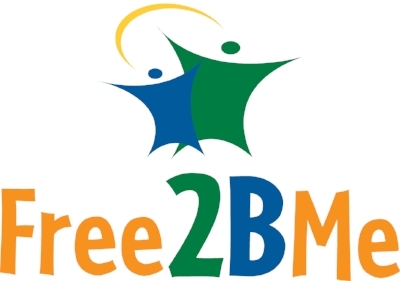 For more information on Free2BMe and the services they provide, and if you'd like to donate, check out their website below. Also, the Steadward Centre will be launching their 40th Anniversary Gala on June 1, 2018. It's Time To BLOOM 2.014! 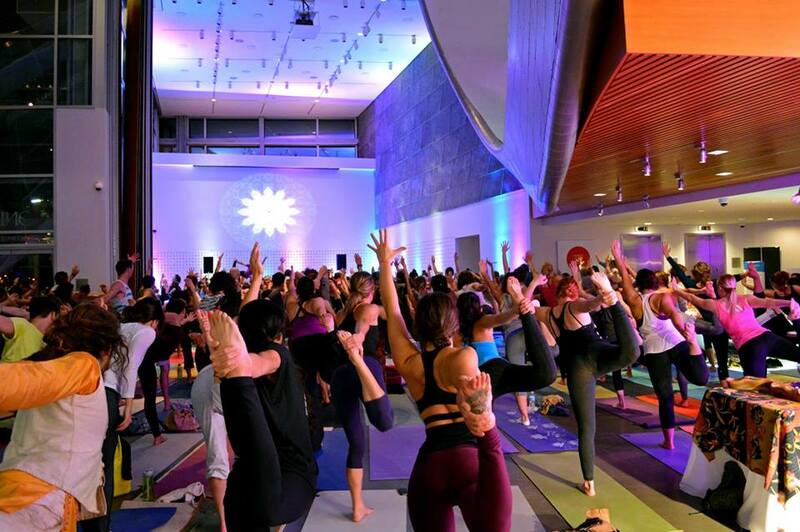 Yogis gather at BLOOM 2013, held at the AGA. This year they've got a new venue and even more to BLOOM you! Bloom is BACK! This years' festivities are a collection of events all central to conscious expansion... yoga, beats and bliss to get you blooming! The line-up is stellar and includes two of our own Yogalifers, Sarah Zandbeek and Myrah Penaloza. There's a lot going on leading up to big day on October 5th - check out the line-up below to schedule your BLOOM! Together We Bloom is an opportunity to build your own floral crown or headpiece to accessorize, and express your style for this event. Rock your newest flowered-creation to It’s Time to Bloom! The only other accessory required is a smile and an open-heart. And then literally, Together We Bloom! Open to ALL ticket holders, register your spot here! Come celebrate the BLOOM festival weekend with our opening ceremony led by native elder Sequoia Truebloom, followed by talks and meditations and pranayama with Rameen Peyrow, Myrah Penaloza, Jacki Carr, Robindra Mohar and Taylor Eyewalker. Once you have had a chance to go through the 4 pyramids to experience a series of musicians, meditations and breathing in the tropical forest, you will arrive in the center foyer where we have converted it into a space to celebrate and dance with music by the one and only Dj Drez. Please purchase a separate ticket for this event or include it in your weekend pass! Ticket info here! Be sure to check out the whole line-up here to plan out your weekend. There are yoga and workshop passes that get you into different events, so pre-plan your path to ensure you're all set to BLOOM! Highlights from Saturday's line-up include 'Jumping Timelines' with Taylor Eyewalker (kundalini yoga) and 'Maha Sadhana' with Reno Muenz and special musical guest Sheela Bringi - a deep immersion of purification practices, asana, and a deep guided meditative relaxation practice with live harp, bamboo flute and sacred Indian singing. Sunday is the main event! The day is packed with speakers, classes, music and more. Again, plan out your sessions to get the most of your experience and save some energy for the live concert that wraps up the weekend featuring DJ Drez and MC YOGI. MC YOGI’s music is inspired from India’s great epic myths, poems, and sacred texts such as the Ramayana and the Bhagavad Gita. He’s inspired by the life of Mahatma Ghandi and his message of peace. Perfect. We couldn't be more excited to experience BLOOM 2.014. See you there!